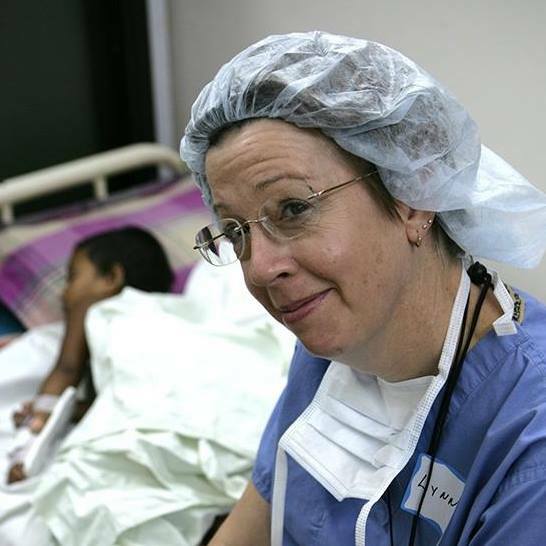 A Sad Farewell to Lynn Speer | Healing The Children Northeast, Inc.
Lynn Speer, RN started traveling with HTCNE in 2003 and since then she went on 18 medical missions with us under the leadership of Dr. Steven Roser (who introduced us to Lynn) and Dr. Shahid Aziz. She also traveled with Smile Bangladesh Organization under the leadership of Dr. Shahid Aziz, both were HTCNE’s alumni. Lynn was a lovely and remarkable lady – a dedicated nurse at New York Presbyterian Hospital. Lynn was very active in the Avon Breast Cancer Walk every year and had just participated this past October. It was two weeks later that she became ill – diagnosed with stage 4 cholangioma. Lynn fought a great battle. Lynn was known for her great sense of humor. She was kind, respectful, generous, caring, selfless, a “mom” to all. All of these qualities we all should share. Our deepest condolences to Lynn’s family.